By J. Christopher Robbins Esq. October 15, 2009, You remember yours. I remember mine. Every pilot remembers ground school. Mine was in a dingy and dark corner of the low-rent district of our Florida airport. The three-classroom facility smelled like stale coffee and mildew. The air conditioning worked fine; at least when the owner of the Part 141 pilot school felt like turning it on. There is nothing like sweating over a whiz wheel. This familiar scene could, however, become a thing of the past. 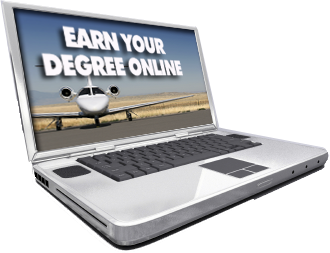 The FAA is considering requests by several on-line universities. They want to offer Internet-based flight training. Students would satisfy the ground school requirement by logging into their computers, grabbing a beverage, and “attending” on-line classes. I do not buy into the hype surrounding internet education. I never have. Online education is not effective. It is unsupervised. It lacks the give-and-take among students and instructors that makes a classroom environment successful. Also absent from online classes is confrontation. A classroom environment should put students on the spot. They must be required to defend their positions, the facts they believe, and their views on issues. Instructors should be able to engage them, to question them, and to confront them when appropriate. The flight deck is not a passive, docile, and forgiving place, nor should be the classroom. Indeed, if your flight training experience was anything like mine, you probably learned as much from your CFI’s war stories and bull sessions as during formal study. Internet-based ground school students will miss a lot of that. As a college professor myself (I teach contract law at Holmes College), I am very sour on Internet-based programs and curricula. Online education has not lived up to its billing. Such programs usually attract the lowest quality instructors. And it should therefore be no surprise that they attract the least qualified and least ambitious students; ones not willing to dedicate the necessary amount of time or money to a proper educational experience. Now 15 years into the internet education fad, most of us know what it really means to “graduate” from an on-line “university.” We know what an internet-only degree is worth. And when we get résumés from job seekers who selected such programs, most of us weigh them accordingly. Do we really want to entrust these same “online universities” with the task of training the next generation of pilots? The FAA is accepting comments on this proposal until November 30, 2009. You can send the FAA your comments by logging into regulations dot gov. You will need to enter the docket number for the proposal: FAA-2008-0938.